Simon & Schuster Books for Young Readers, 9781481401500, 224pp. 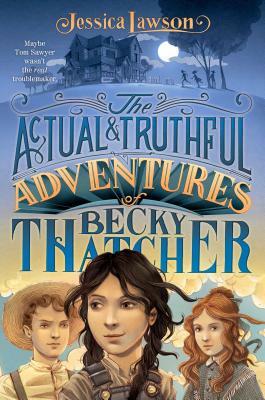 "The deliciously impetuous, devilishy clever, and uncommonly brave Becky Thatcher is now one of my all-time favorite heroines, and I'm desperate to follow her on more adventures. Captivating, exciting, and great barrels-full of fun, this is a book to adore." [STARRED REVIEW] "A delightfully clever debut." "[R]eaders not familiar with Twain's work will find an enjoyable adventure story with glimmers of mystery. Fans of historical fiction will enjoy the charming heroine and fitting affirmations of family, friendship, and remembrance." "Young readers will race through this adventure, while teachers and adults will delight in its gold mine of creative parallels."